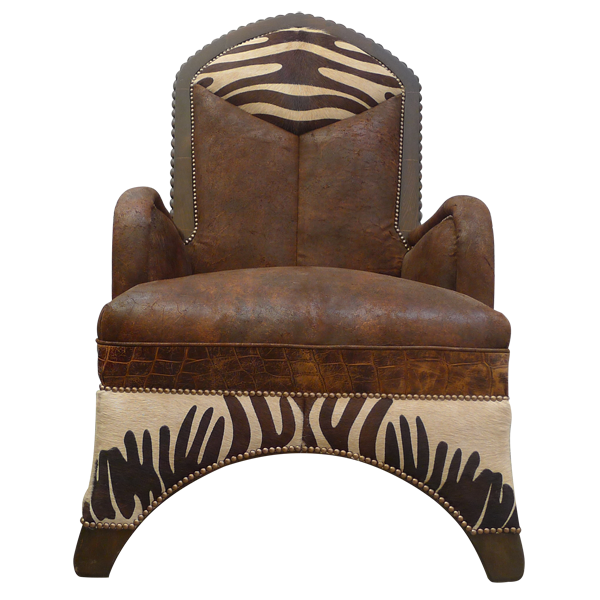 Animal print upholstery is perfect for adding a touch of personality to your home décor. 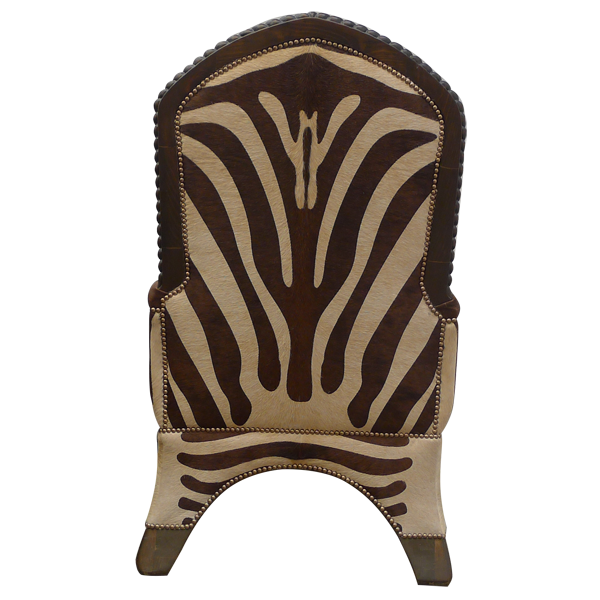 This handcrafted chair combines exotic, zebra print, real cowhide with full grain leather upholstery to create a unique and beautiful design. The seat, the armrest, and the lower inside seat back of this chair are upholstered with rich, dark, brown, full grain leather. 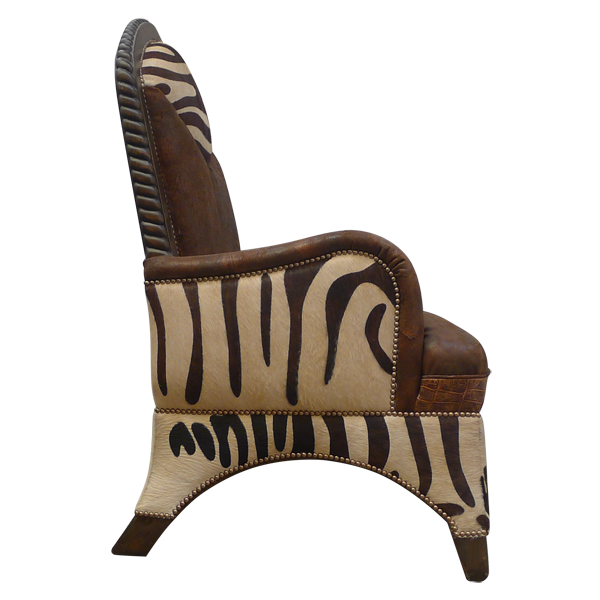 The upper inside seat back, the reverse seat back, the legs, the lower front of the chair, and the exterior sides of the chair are upholstered with simulated zebra, real cowhide. The leather upholstery is double stitched for extra strength and durability. Also, the upholstery is precision hand tacked to the wood frame with beautiful, decorative nails. This chair rest on exquisitely, curved legs. The chair is made with the best, sustainable wood available, and it is 100% customizable.